If you are moving out and you are worried that the accommodation that you are leaving doesn’t look good enough to get your deposit back from your landlord, you can rely on Cleaners Agency London to provide the best end of tenancy cleaning service and make the entire process of moving out a lot more pleasant and stress-free. If you book our professional help you are guaranteed to achieve wonderful results without even lifting a single finger. We promise you that we are the most reliable cleaning company in Tooting and we are always ready to help you with this burdensome and time-consuming chore. We are sure that you have plenty of things you need to take care of before you move out and the end of tenancy cleaning is probably the last chore on your to-do list. However, presenting the accommodation you are vacating in the best possible condition is crucial if you want to get your full deposit back. This is why you can count on us and our professional help anytime. All of of our cleaners are wonderful people who have a lot of experience in this field of professional cleaning. 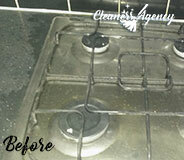 This is why you can always rely on them to provide the best end of tenancy cleaning service in entire Tooting. In addition to the amazing cleaning skills of our staff, we also use only high-quality commercial cleaning tools and solutions which always lead to fantastic results. There is no doubt that after our service the rental place that you are vacating will look spick-and-span and your landlord will have no other choice but to give you your full deposit back. We know that most tenants miss out on the opportunity to get their deposits back because they don’t hire the help of a cleaning company out of fear of spending too much money. We can assure you that this is definitely not the case with our company. We always strive to offer the most budget-friendly deals to our customers. Our company is one of the few in Tooting which can guarantee for their work. This is why we encourage you to trust us and give us a call. 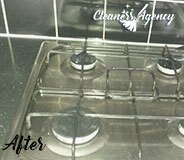 On the day of the service the cleaners came on time and I left them in the house to do the end of tenancy cleaning. After a couple of hours later, the home was looking pristine. I loved the outcome and I cannot wait to recommend the service to friends. Cleaners Agency London has been around London for a considerable amount of years already and during all this time we have never vacated the throne, no matter how competitive this field is. We can cross all the cleaning duties off of your to do list without breaking a sweat, in order to provide you with the highest levels of hygiene and cleanliness. We are professional cleaning company based in London that is offering cleaning sessions for both commercial and residential premises. The professional cleaning services of our company are thorough, consistent and customisable. If you would like to share with us some of your specific needs and requests, feel free to do it. We aim at making you happy and satisfied for choosing us. No matter what you ask us to do, we can get it done. You can book us for one off cleans up or for a regular maintenance. The end of tenancy cleaning can be quite a burden and even more so if you are not well-suited for performing a thorough cleaning of an entire property. Well, fear not! Our company is here to save the day by helping you deal with whatever dirt and bacteria lurks in your old rental property! For our, and of course, your convenience we have performed background checks on all of our employees, they have underwent special training courses and only after they have proven their cleaning capabilities and skills had they joined our incredible team. 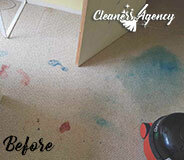 We provide top-notch quality results despite common harsh cleaning circumstances. For years we have been developing the perfect service, one that is detailed and thorough, yet based on the customer’s personal preference and insight. It is important for us that you experience a great customer service and we will do whatever we can to see to that happen. 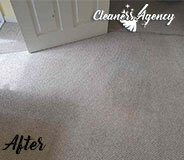 The delivery and outcome of our cleaning is flawless, that’s a guarantee. You will get your deposit back in full and look back to that experience with relief.